I knew George before he was born! 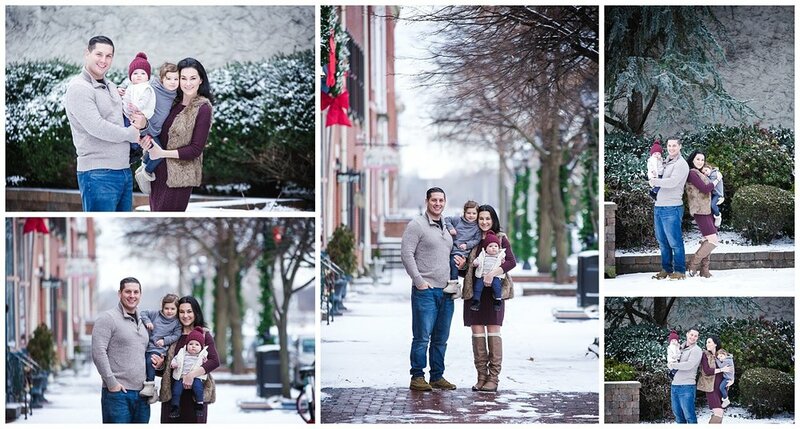 It's crazy to believe that this is the 3rd time that I have photographed his family! I am very lucky to make my clients happy enough to refer their friends! This is how Stephanie and I met. Stephanie is George's mom. She works with an amazing woman who referred me to her! I photographed Stephanie and her husband Jeff for their maternity session in Haddonfield, NJ. You can view there session here. Then I photographed Stephanie and her husband Jeff again in their home for George's newborn session. You can view that here. All of my newborn clients have the advantage of adding the baby plan at their newborn reveal appointment. This includes a sitter session, first birthday session and a family session after the baby turns 1. It's perfect for the family that wants to capture all of their child's milestones! Luckily, Stephanie is one of those people. I love to watch all of the babies grow!